The Quality Improvement Officer (QIO), a member of the Strategic Information and Evaluation (SIE) team, supports and coordinates the implementation of high quality QI initiatives following the EGPAF’s quality improvement plan and the national QI framework. The QIO will provide on-going support to EGPAF-supported regions, districts and sites in the form of training, meeting facilitation, mentoring, and data verification and translation for reporting. The QIO will also support program evaluation and “optimization” initiatives, as part of EGPAF’s standard Program Optimization Approach priorities and work plan. • Provide implementation support to EGPAF-supported sites in QI. • Provide ongoing monitoring, data verification and mentoring of QI projects at EGPAF-supported sites, in collaboration with national QI partners. • Collaborate with QIM and other QIO in developing QI tools, indicators, SOPs, and training curricula. • Collaborate with MOHCDGEC and other IP stakeholders in adapting/operationalizing national QI guidelines and tools. 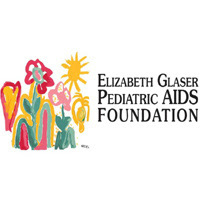 • In close collaboration with EGPAF central and field-based technical staff, coordinate the collection, compilation and reporting all monthly and quarterly QI data into standardized data systems. • Prepare and present routine QI reports, and utilize QI data through dashboards. • Lead and report on routine data quality assessments for QI projects. • Promote QI approaches and problem solving principles within routine EGPAF work. • Support EGPAF field-based staff in their capacity to apply QI principles in routine supportive supervision; carry out regular performance measurements at sites; analyze QI data; provide QI feedback to site staff, CHMT and RHMT; and attend QI meetings at site level. • Oversee site level training and efforts to build site capacity to implement quality improvement activities, working in collaboration with national QI trainers and appropriately trained EGPAF staff. • Ensure regular quality improvement meetings take place at site-level with the program officer responsible in attendance (reviewing data, flow charts and setting/following up action plans through PDSA cycles) to strengthen QI in existing health management structure. • Proactively seeks new knowledge and skills for personal growth and the benefit of EGPAF (i.e. key business and program practices, monitoring, reporting, program best practices, dissemination, etc.). • Provide support to EGPAF’s program optimization approach (POA) as activities are implemented at district/site levels. • Assume representational responsibilities (attend external meetings on behalf of EGPAF) when asked. • Any other responsibilities as assigned. • A university degree in clinical medicine, nursing or equivalent. • Three years’ work experience in public health (public sector) programs, where HIV programs and /or prior work with an international NGO is an advantage. • Experience facilitating trainings, and providing on-site mentorship or coaching to health providers (or equivalent service providers). • Capacity and motivation to acquire new knowledge and skills in a short time. • Ability to work at a high level with limited supervision and ability to work well as part of a team. • High level of computer literacy defined by proficiency in the basic Microsoft packages, and experience with data management and visualization software (excel, access, Power BI). • Ability to work effectively within multi-disciplinary teams (excellent communication, negotiation, follow-up, and motivation skills, plus a positive attitude). • Ability and willingness to travel 50-75% regionally.